If you love cloth diapers, like I do, here is an opportunity to WIN some! If they aren't really your thing, you're still in luck because there's other awesome baby gear to choose from if you win! 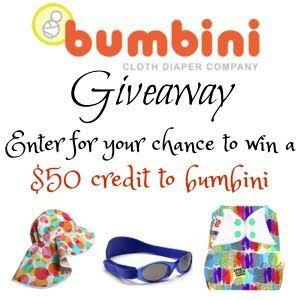 $50 credit to bumbini can be yours, enter below! This giveaway is hosted by Mama the Fox. I love cloth diapers, and Bumbini has an awesome selection! Thanks for the giveaway!